A team of experts and strategic partners creating a solid communication foundation with a focus on business results and familiarity with “the two sides of the coin” corporate life and the experience of communication agencies. 360 communication strategy that solves both the needs of Marketing and Sales. 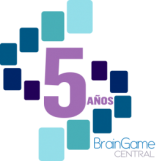 BrainGame Central norm is to provide added value to customers through 3 fundamental concepts. Founded and directed by Ingrid Motta, who has been recognized as one of the most powerful women of business in Mexico by Expansion magazine (2013, 2014, 2015) one of the 75 women marketing leaders both by Informa BTL Magazine (2016), and one of the most influential business magazine, Poder y Negocios (2013). Similarly, in 2011she was named one of the most influential in the field of technology by the newspaper El Universal women. To be the leader communication and marketing agency in LATAM, specializing in information technology and telecommunications with solid experience in infrastructure Offline, Online, Social Media, Market Research and Competitive Intelligence. BrainGame Central born as an Integral Marketing agency offering communication services 360 degrees with strengthening Public Relations, Digital Marketing, Market Intelligence and Media Planning. We are an agency with proven results in international companies. We provide measurement results through identification of KPI based marketing and sales strategy of our customers.